Hi Princess Pinky Girl fans! 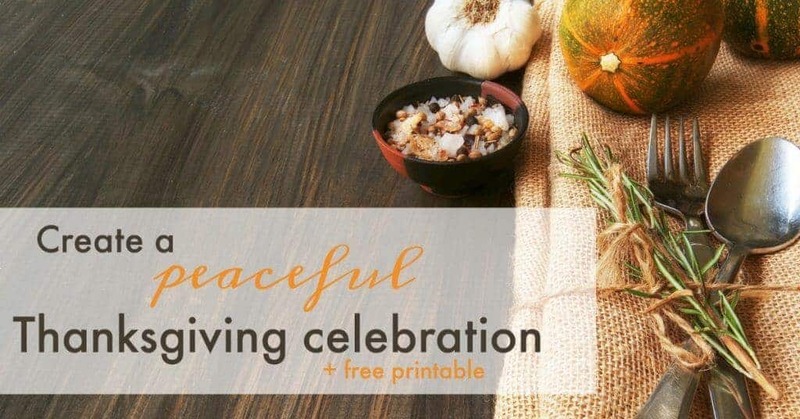 Kristen from PracticalMommy.com here to help you plan a peaceful Thanksgiving celebration. To do that, I’m going to share 5 tips that will get you ready for Thanksgiving. 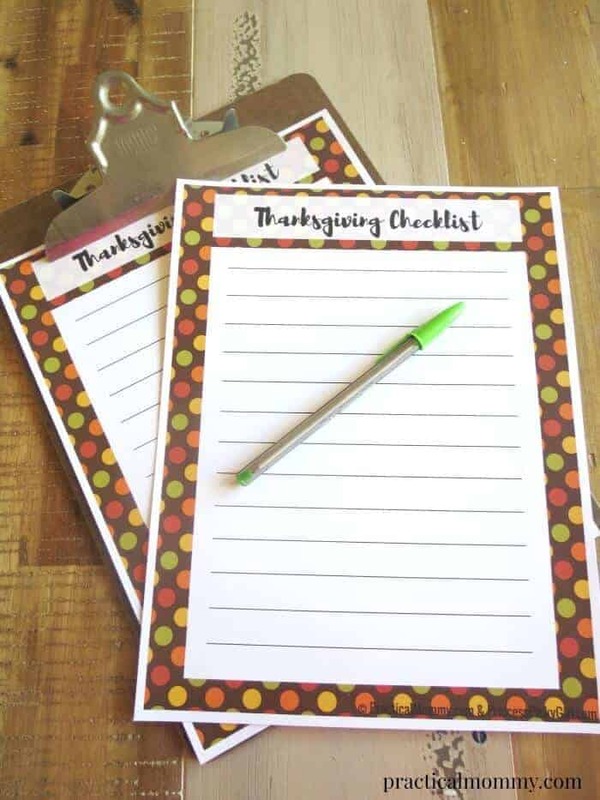 And I’m also sharing a cute printable Thanksgiving checklist you can use to stay on top of things in your party planning. If you only follow one of these suggestions, then planning ahead should be number 1. The holidays always sneak up on me! I know when they are and I try to plan ahead. September always feels like I have plenty of time for everything. Then October hits with Halloween and it’s all downhill from there. So, plan ahead! Look at your calendar and plan you parties. 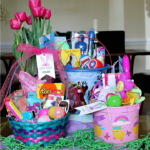 Then backtrack and plan what you need to do to get ready like grocery shopping and cleaning. Speaking of cleaning! Try to do a little bit at a time, so you’re not frantically cleaning the fridge the night before guests arrive. Ask for help or hire help with cleaning if you can. I consider it an investment in my sanity! But be sure to find a cleaning company in advance, before everyone is booked up. 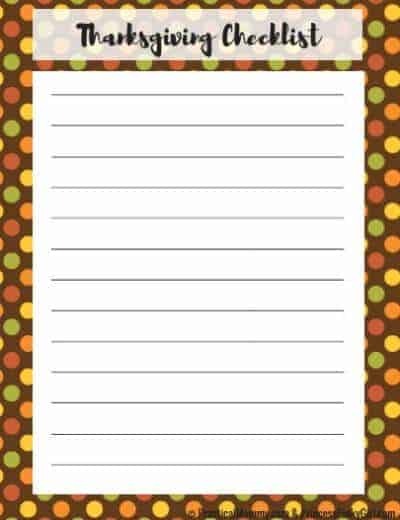 My favorite – checklists. And I am sharing a special free printable checklist with you today. Print out a few copies. 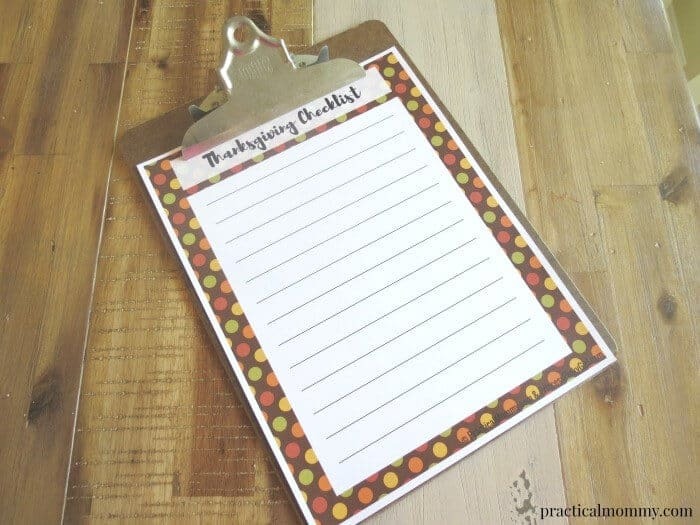 You can make a list of guests, a grocery shopping list, a list of things you need to get done, a honey-do list, etc. Really, you are going to want to make a bunch of copies. It is so easy to be worn out during the holidays. Don’t agree to do too much and be sure to take some time for yourself. Every little bit of personal time counts. And write this on your To Do list if you need help making sure it happens. And when Thanksgiving finally rolls around, take some time to really celebrate. Be present in the moment with your family and friends. You may have other Thanksgivings in the future, but this one is still special. Be sure to enjoy it. That’s it for the tips, friends. I hope you have a wonderful Thanksgiving. Don’t forget to like and share this post. Because you know what? Your friends might need these tips too. In fact, I’m sure of it. Be sure to check back for the next checklists for Holiday/Christmas and New Year’s, coming soon! 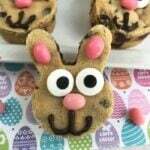 And you can also find more free printables in the Practical Printables Club by signing up at Practical Mommy. I totally agree with planning ahead for your big Thanksgiving meal. I also love your printable. To do list definitely keep me organized.